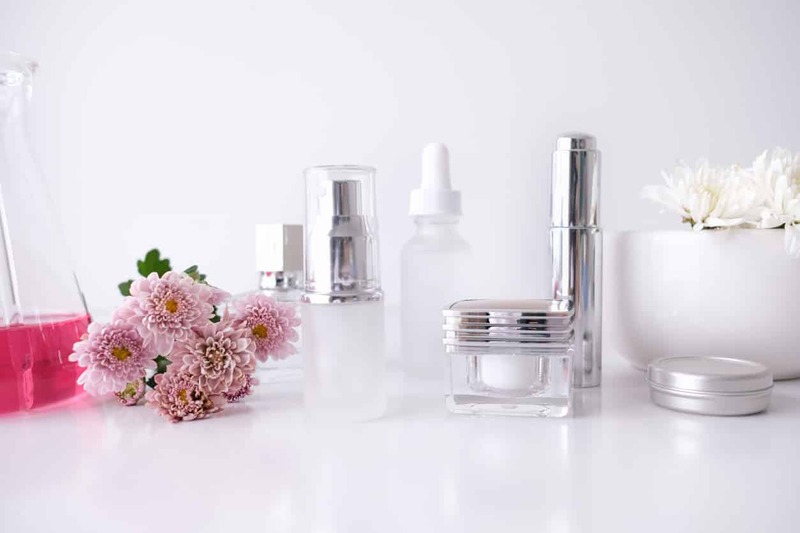 Niacinamide – What is it and what does it do for your skin? A skincare ingredient I am always recommending to my clients is Niacinamide. Something of an unsung hero, this multi-tasking ingredient, also known as Vitamin B3, boasts a long list of benefits. It can help improve the appearance of enlarged pores, fight signs of ageing, lighten dark spots and even control acne. Loved by dermatologists, it is well tolerated and one of the best all-rounders, suitable for everyone ingredients and thankfully it can be found in a variety of skincare products, including serums and creams. Whether your skin is dry, dehydrated, oily or combination, niacinamide has a place in your skincare routine. It helps to strengthen your skin’s barrier function. Think of your skin barrier as the first line of defence against environmental aggressors, UV rays, pollution and irritants, but as with most things, it weakens with age. 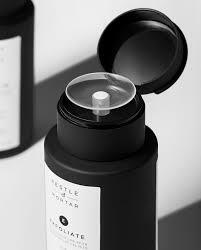 It encourages the production of ceramides, which for want of a better word help “waterproof” our skin. By keeping moisture in, our skin is hydrated, plumped and fine lines and wrinkles are less noticeable. It is an anti-inflammatory and therefore beneficial for those with acne and rosacea. By calming inflammation you’re encouraging less sebum to be produced, which prevents your pores from potentially becoming blocked. Niacinamide can also help brighten a dull complexion and gently even out discoloration (like sun spots or leftover marks from spots) and uneven texture (like large pores and dullness). It acts as an antioxidant to slow down the aging process. Niacinamide is one of the most versatile skincare ingredients and is super easy to incorporate into your routine. Suitable for all skin types and all ages (from teens to mature skin) it can be used both morning and evening but remember consistency is key if you want to see results. Those who use it report an increase in plump, hydrated skin as well as a reduction in sensitivity, acne and visible pores. It also plays very well alongside ingredients like retinol and alpha hydroxy acids (AHA’s), so you don’t have to worry about it reacting with something else you’re using. If you haven’t tried it before, here are some products to start you on your niacinamide journey! 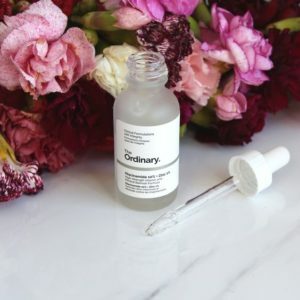 The Ordinary Niacinamide 10% + Zinc 1% Serum: One of their best-selling skincare products, this serum combines a high concentration of Niacinamide with Zinc to balance skin’s sebum (oil) production. Expect to see an improvement in the appearance of enlarged and visible pores. 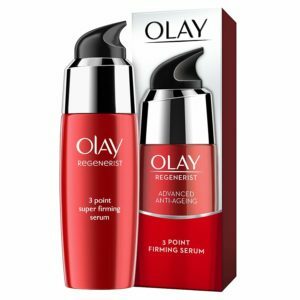 Olay Regenerist Three Point Super Serum: This serum is a fast absorbing, non-greasy formula made up of niacinamide and a highly concentrated peptide complex, especially designed to give you dramatically firmer looking skin. Pestle & Mortar Exfoliate: The latest addition to the Pestle & Mortar family, this facial toner powered by glycolic acid is blended with a potent mix of natural anti-ageing and skin-brightening ingredients, niacinamide being one of them. Expect brighter, healthier fresher skin. La Roche Posay Effaclar Duo: A spot treatment that corrects and hydrates skin and also provides broad spectrum protection. Specifically formulated for oily, blemish and acne-prone skin in adults and teenagers, it helps with redness and the size of spots, as well as soothing the discomfort caused by them. 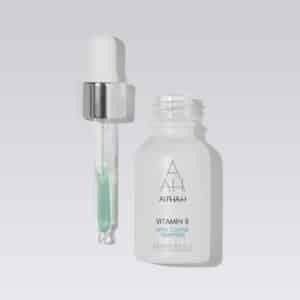 Alpha-H Vitamin B with Copper Tripeptide Serum: A potent vitamin serum fortified with niacinamide and copper tripeptide to take on daily environmental elements and to help prevent the appearance of premature ageing. This appeared in my most used products list of 2018! 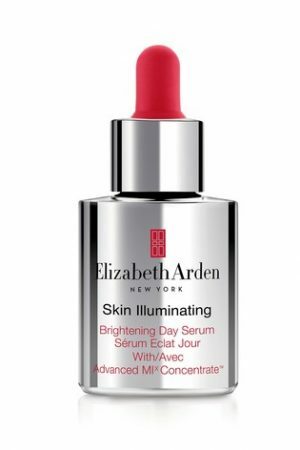 Elizabeth Arden Skin Illuminating Brightening Day Serum: A powerful daytime serum that contains an encapsulated blend of vitamin C and niacinamide to help diminish the appearance of dark spots. redness and discoloration. It instantly brightens and supports skin’s own natural collagen and elastin. Garden of Wisdom Niacinamide Serum: This gel like formula melts into skin and effectively regulates sebum (oil) activity helping to prevent acne breakouts. The formula also contains pantothenic acid (vitamin B5) which binds to moisture acting as a natural hydrator to improve skin’s softness and elasticity. Paula’s Choice 10% Niacinamide Booster: A concentrated booster that can be used alone or added into your favourite moisturiser or serum. It works to fight multiple signs of ageing and improve skin’s texture along with minimising pore size and reducing post breakout marks. It also contains calming and hydrating ingredients to replenish skin and restore radiance. Whatever product you decide to go with, your skin will thank you!